“One of the advantages of being disorderly is that one is constantly making exciting discoveries.” A. A. Milne Had I known organizing my sewing room would result in a two week hiatus from sewing AND blogging, I bet I would still be in the midst of a huge mess declaring I couldn’t take the time needed to bring order and modest aesthetic appeal to my cluttered space. I reached a good stopping point and expect to finish up over the next few weeks with pictures forthcoming. At last I can sew in a pleasant surroundings! Last year I made five pairs of pants. The first pair was a learning experience leading me to discover Style Arc patterns – in particular Style Arc pants patterns. 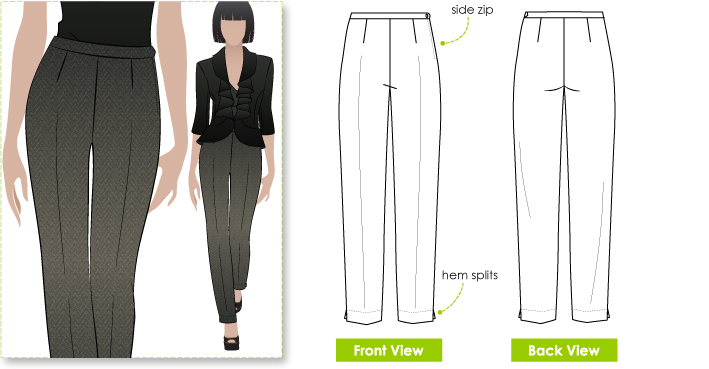 After successfully sewing the Elle slim stretch and Leah Lounge pants, I ordered the Linda stretch and Willow woven cigarette pants; two patterns I rediscovered while cleaning. 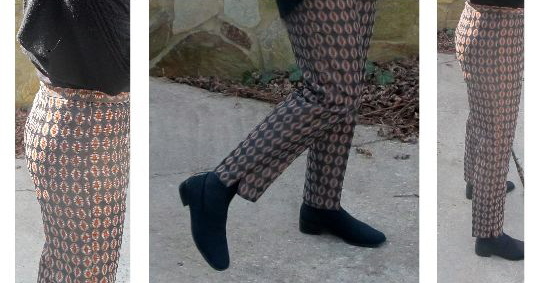 Pants are my winter wardrobe staple and it was time to make more. I don’t know why but my fear of sewing ill-fitting pants was still haunting me. I settled on the Willow woven cigarette pants. Any pant that is described as looking “amazing worn with heels or with flats” seemed like my kind of pant AND it sits on the real waistline!